How to make a professional Project Checklist? 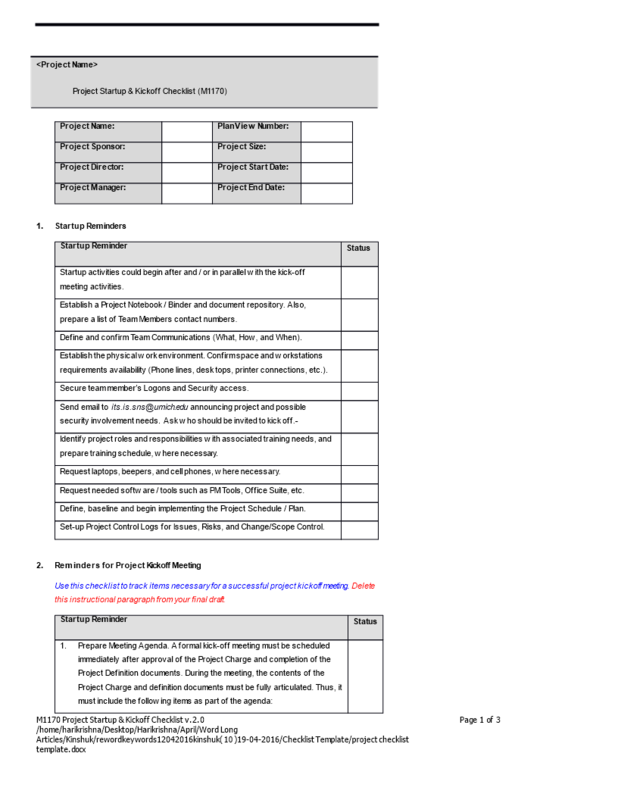 Download this project management Project Checklist Word Format template now! Preliminary Risk Mitigation Strategies Methodologies, Standards, or Guidelines to Follow. Feel free to download this Project Checklist Word Format, or simply browse through our other basic or advanced template designs. They are intuitive and in several kinds of formats, such as PDF, WORD, XLS (EXCEL including formulas and can calculate sums automatically), etc. Completing your Project Checklist Word Format was never simpler! Download it now!